On Saturday March 6th, Christelle, Bernard and I headed to Geneva for the car show. Luckily, Bernard had forced us to wake up very early to get to the exhibition before the doors opened, as there were already a large number of people waiting to get in. Once inside, we headed straight for the Ford display (making a point of ignoring the Peugeot stand), and proceeded to look at the Ford Focus. Unfortunately, they did not have the estate version on display, so we had to content ourselves with the hatchback version. I thought the car was really nice, and was definitely a contender for the job. From there, we next headed to the Mazda stand, with Chris practically running towards it like an excited child in a toyshop. There, on a spinning display stand, was the Mazda6, the object of Chris’ affections. I have to admit, it was a darn good looking car, with the design of the LED lights at the rear and the Bi-Xenon headlights at the front increasing the car’s appeal. Although it was in a roped off area (it was the worldwide premier of this particular model), we were still able to get a good idea of what the car was like, and were able to have a closer look over the nearby Mazda6 Hatchback to get a feel for it. I could only find positives for the Mazda6, as the comfort and style inside were equal matches for the attractive exterior. I could now understand why Chris had her heart set on this car, and it immediately shot to the top of my wish list too. After spending around 30 minutes looking at the Mazda6, we headed off to look around the other manufacturers’ displays, including the cars that we had shortlisted previously. None of them even came close to the Mazda6, which was our point of comparison for the remainder of the day, as we found ourselves saying phrases that began with “This is much better in the Mazda6…” or “I prefer the Mazda6 for this bit…”. I think it is fair to say at this point that we were walking around in a kind of “We Love Mazda” haze, making the next couple of hours at the auto show little more than a bit of exercise for our legs. The next week, Chris was effectively stalked by the man at the Mazda garage she had visited, who attempted to call her several times each day, including during the evening. It seemed that he was desperate to sell the car to Chris, and that only made us less inclined to buy it from him. 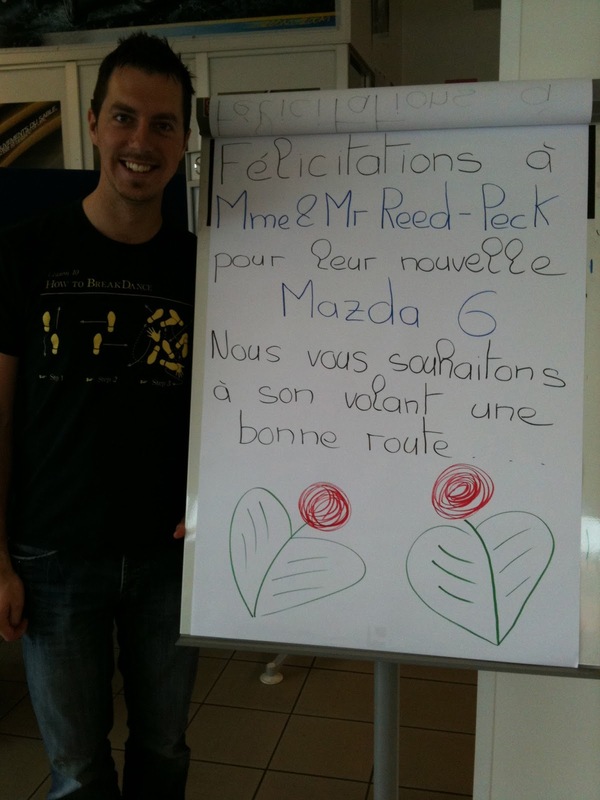 Instead, we opted to visit another Mazda dealer in Crissier, this time Rochat & Fils, who had a reputation for good customer service. 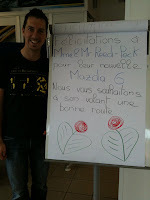 During our visit with the “Fils” (“son” in French), we discussed the Mazda6 and what our needs for a car were. He agreed that this car would be well suited to our particular requirements, and we strapped ourselves in for a test drive. With Chris at the wheel, we headed off in the hatchback version of the Mazda6 (an estate model was not available for a test drive), and sampled the luxury that this car would offer. In fairness, the term “luxury” could be applied to almost any new car when compared to Pepe, who was the very definition of the word basic: no central locking, no electric windows, no air conditioning, no alarm, and basically no frills. Going from Pepe to the Mazda6 was like upgrading from the Holiday Inn to the Ritz Hotel, and we found ourselves playing with the various controls and marveling at the technological advancements made with cars since Pepe’s year. In addition to the gadgets and gizmos, the Mazda6 was also a fantastically smooth drive, with very easy handling and an almost inaudible engine when idling. Add all these features up and we were pretty sure we had made our decision; all that was left now was to check the finances and sign up for the car. However, we still had the question of what to do with Pepe. 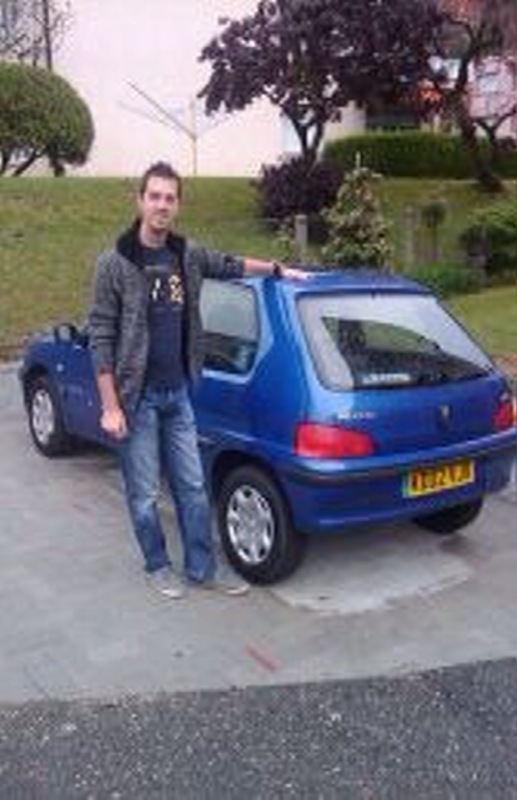 We could legally drive him in Europe until the end of June, when he would need to go through an MOT in England. However, now that we were looking to buy a car that would be available in May, we needed to find out how to move him on earlier than that. Garages in Switzerland would not want to buy Pepe from us, because he is a right-hand drive car (European cars are all left-hand drive), so that really narrowed down our options. We would either have to go through the process of finding a private buyer – which would again be a struggle as no one wants a car with the steering wheel on the “wrong” side – or dispose of Pepe by sending him for scrap, for which we would have to pay scrapping charges. There was also the option of driving him all the way back to England and attempting to sell him there, but that would mean a large petrol cost and would require me to stay in England whilst trying to locate a buyer, using up holidays from work that I would much rather use for an actual holiday. Fortunately, the Rochat son told us that he knows a Libyan man who lives and works in Switzerland, who might be willing to buy Pepe. He would then likely sell him on in an Eastern European country, or possibly in Africa, where motorists are less demanding in their search for cars. We asked him to have a quick look at Pepe, and he agreed to buy him from us for a fee of 500 CHF. 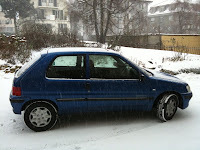 Chris and I were delighted – compared to the prospect of paying scrap costs, getting 500 CHF was like winning the lottery. Admittedly, we had not told the Libyan about the red engine warning light or the funny noises that Pepe was making, instead keeping that as a “surprise” for the day we sold him the car (even if he then offered us less money, any amount of money we could get for the car would be a bonus). So, the credit papers were signed and the orders were placed for our new car, which was to be available in May. This left Chris enough time to sort out the car insurance and tax for the car, plus pay the cost of acquiring the vehicle registration. Then, in the last week of April, we received word from Rochat that our car would be ready for collection on 1st May. We were delighted, as it meant we would soon be driving a nice, new car that was a joy to drive, instead of sitting behind the wheel in Pepe praying that it doesn’t breakdown. It also meant we would have the car in time for my parents’ next visit (on 14th May), so would definitely be able to fit their suitcases in the spacious boot. In the build up to the big day, I checked with the DVLA in the UK to find out what I had to do to transfer Pepe’s registration to the new, Libyan owner. The normal process is a simple case of filling in the new owner section on the V5C form and sending it off to the DVLA for processing. However, it would not work like that for Pepe as he was being sold to someone in another country, and therefore was being exported. I wanted to make sure that I did not have to officially export Pepe before selling him as that would mean we would have to go through the inspection that we had purposely avoided several months earlier (which would no doubt result in huge repair bills). Fortunately, the lady I spoke to at the DVLA told me that it would technically be the Libyan man who was exporting the car, so it would be his responsibility to ensure the car was properly registered in the destination country. All I had to do was fill in the notice of permanent export on the V5C form and send this back to the DVLA with a note stating that I was not exporting the vehicle myself, which I promptly did. 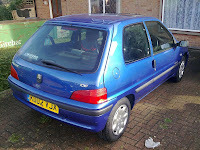 On Friday 30th April, Chris and I gave Pepe his final wash and thoroughly cleaned the inside. In truth, that was probably only the 5th or 6th time I had washed Pepe in the 8 years of owning him. The next morning, we excitedly drove to the garage nice and early to collect our new car, eager to finally get behind the wheel. I'm not sure we even drank a cup of coffee before heading out that morning, which shows how much of a rush we were in! After a chat with Rochat, who took the time to explain every feature of our new car, surprising us with certain items like the “automatic handbrake” that kicks in if the car feels itself rolling backwards down a hill, or the RVM light that comes on when a vehicle is approaching in your blind spot. The garage had even put up a poster congratulating us on our new car, and they also gave us a box of drinking glasses with the logo of the garage on them. Not sure we will ever use them, but it was a lovely thought. After Rochat’s detailed explanation of the car, we signed all the papers to officially own the car. The Libyan then arrived so we took him out to Pepe and allowed him to sit inside. When he noticed the engine warning light was on, we explained to him that it was not caused by engine faults, rather by a faulty connection to the light. He then offered us 300 CHF for the car, which Christelle and I accepted – hey, it was still better than having to pay for scrapping Pepe. I said goodbye to Pepe as I handed over the keys to his new owner. I had a lot of memories in that car, from it’s years of service in performing “Chicken Runs” (post-pub drives through the KFC drive thru), trips to various British seaside towns (such as Great Yarmouth, Bournemouth, Clacton-on-Sea and Eastbourne), and of course, the move from England to Switzerland. It’s funny how many memories we can link to certain objects, and although the memories will stay with me forever, the car would no longer be a part of my life. It was a sad moment, but the sadness soon turned to the joy of a new car. With everything signed and sealed, the Mazda6 was now ours. I sat behind the wheel and nervously started the engine, doubting my ability to drive what was an absolutely enormous car with the steering wheel in the wrong place. When I looked in the rear view mirror the back window seemed to be incredibly far away, and it hit me at that point that this car was so much larger than Pepe. In terms of size, I think it might have been possible to fit Pepe in the boot of the new Mazda, so handling this beast would be something altogether different to driving my old Peugeot. Add in the complication of having to change gears with my right hand, and you can probably understand why I was nervous. Despite my nerves and doubts, I managed to drive the car back home safely. The task of parking our new, giant, shiny black car was made slightly easier by the inclusion of parking sensors in the car, that beep whenever I get close to objects such as walls, curbs, and small children (so quite handy really). We went to sleep that night happy in the knowledge that we had successfully swapped cars to now be the proud owners of a beautiful vehicle. The happiness would probably only last until the bill for the insurance and tax arrived in the coming weeks, so we decided to enjoy it while it lasted. So, it’s goodbye Pepe, and thanks for all the memories. We haven’t decided on a name for the new car yet; I’m thinking “Maz”, but that’s not very adventurous. As an homage to Pepe, I've added a few photos of him below. Just out of curiosity, what does auto insurance cost on a car like this in Switzerland? Well, the European Insurance I took out on the Peugeot 106 in the UK - through Stuart Collins Motor Insurance - was an annual premium of around £400. 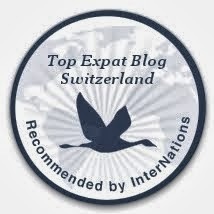 It is worth bearing in mind that a non-Swiss registered car can only be driven in Switzerland on a foreign insurance policy for a maximum of 12 months - after that period, the car would need to go through the "expertise", a test to obtain Swiss registration plates for the car and import it here permanently. You would then have to obtain a Swiss car insurance. For an idea of how much insurance costs on Swiss-registered cars in Switzerland, check out http://en.comparis.ch/auto/default.aspx. I'm happy that you got yourself a new one but, in addition to that, I think it's a nice time to let your old one go, even though there have been a lot of memories you had with it, and whoever got that old car of yours, would feel that way.